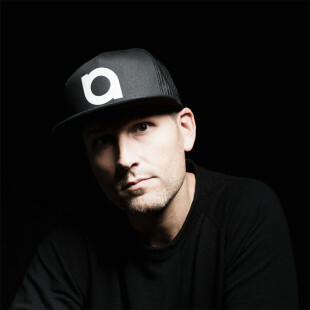 Having been through the trenches as an original recording artist, producer and in-demand DJ for more than a decade, American juggernaut Kaskade continues to be at the forefront of the dance music scene. Breaking down barriers and shattering records, he’s created a career of unprecedented milestones for himself and the industry: the first U.S. DJ to secure a Las Vegas residency, the first solo electronic dance artist to sell-out Barclays Center, as well as the first dance artist to sell-out Navy Pier and the Staples Center during his Freaks of Nature Tour, which was deemed “the only successful national stadium tour undertaken by a solo ‘EDM’ artist” by Billboard. Most recently Kaskade returned to the iconic two-weekend Coachella Valley Music and Arts Festival for the fourth time, where he was the only electronic artist to take the main stage. In a historic achievement, Kaskade drew the two largest crowds the festival had ever seen in its storied sixteen-year existence. Prior to kicking off Coachella, Kaskade released his much anticipated single, “Never Sleep Alone,” which premiered at #1 on Billboard’s Trending 140 chart and is currently on iTunes Top 10 dance chart. Poised to become this year’s summer anthem, it’s rooted in contemporary house music fused with an explosive energy fit for any massive arena or festival. Crowned by The New York Times as “the new face of electronic dance music,” Kaskade has laid the groundwork for a titanic musical and cultural shift: a post-rock electronic music revolution that has captured the imagination of a new generation of fans across North America. He received his fourth consecutive Grammy nomination for Best Remixed Recording for his edit of Galantis’ “Smile.” Previously, his eighth studio album Atmosphere scored him his second and third Grammy nominations for Best Dance Recording and Best Dance/Electronica album. He received his first nomination for his double-album Fire & Ice, which debuted No. 1 on Billboard’s Dance/Electronic Album chart. With his unique creative prowess, the two-time “America’s Best DJ” title holder has created chart-topping remixes for everyone from Lana Del Rey to Beyoncé. Along with taking the festival-circuit by storm, Kaskade performs to jam packed crowds all over the world at Wynn Las Vegas daylife and nightlife venues — Encore Beach Cub and XS Nightclub, where he has a multi-year exclusive residency deal. Wynn Las Vegas served as his first exclusive residency in Las Vegas at Encore Beach Club in 2010. While he cut his teeth in nightclubs, today Kaskade’s live shows are arena-sized; a jaw-dropping spectacle that finds him performing in front of massive LED screens broadcasting evocative images synced with the music in meaning and tone, while strobe lights scan the crowd. “I’m trying to create an environment where you can lose yourself in these really big, grand, euphoric moments and to do that, there has to be a certain intensity. We’re barraged with so much information in modern-day culture, and I want people to forget their worries and cares and be able to come together and celebrate life by hearing these songs that they love, with words that have touched them in a certain way.